\ninclude the XP install disk. \nUbuntu Linux as dual-boot as I can\'t reinstall XP. \nnot worth the expense and time for this very old computer. \ntakes but I suspect that was VERY slow, indicating a hardware problem. \nI love a good meal! That\'s why I don\'t cook. \n include the XP install disk. \n Ubuntu Linux as dual-boot as I can\'t reinstall XP. \n not worth the expense and time for this very old computer. \n takes but I suspect that was VERY slow, indicating a hardware problem. \nHD. Other than that, it may not be worth messing with. \nI agree, that is a W/98 machine someone loaded XP on. \nI bet it moves right along with W/98. \n HD. Other than that, it may not be worth messing with. \nIt\'s worth upgrading the RAM... if you have the RAM sitting around. \ngrab sticks out of one, to put into another. \nto be open at once. It\'s a little tight that way, but usable. \nIf you drop down to smaller amounts, yes, that\'ll make it slower. \nyou would write down that string and use it as additional evidence. \nwant to turn off, to see the text that is underneath. \nIt might or might not have a setup screen like this. \n1) Won\'t boot from a USB stick. \n2) Will boot a CD-R. Won\'t read a CDRW (laser not strong enough). 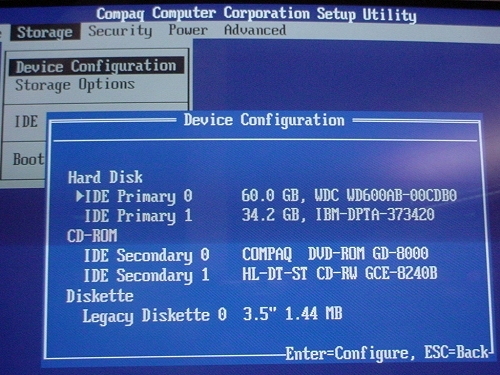 \n the BIOS doesn\'t actually know how to boot from a DVD. \nthings can be a wee bit crippled on "boot-ology". \nAnd that gets us to the topic of Linux. \nsupport for a few of the older graphics cards. \ntried Puppy on an old machine, it was a perfect match. \nthen should not use fancy animation, and Puppy avoids that. \nNow, the newer version of Puppy, is called FatDog64 (a separate distro). \nare 4.1 or 4.4 or so. \nthe built-in graphics. Mine has a separate video card. \non what\'s inside the computer. \nof that page has slightly older versions. \nHere\'s a simple place to start. \npack, isn\'t all that bad, but lots of them is a bad sign. \nexample screenshot, starts at 170 and ends at 85 or so. \nratio between outside and inside diameters. \ncondition is the one that makes the OS slow. \nOf secondary interest in HDTune, is the Health tab. \nThe main entry to worry about in Health is "Reallocated Sectors". \nwhat I use as the simplest health indicator. \nbenchmark as an early indicator of trouble. \n not include the XP install disk. \n installing Ubuntu Linux as dual-boot as I can\'t reinstall XP. \n probably not worth the expense and time for this very old computer. \n Here\'s a simple place to start. \n disk drive (blue line). \n pack, isn\'t all that bad, but lots of them is a bad sign. \n example screenshot, starts at 170 and ends at 85 or so. \n ratio between outside and inside diameters. \n condition is the one that makes the OS slow. \n Of secondary interest in HDTune, is the Health tab. \n The main entry to worry about in Health is "Reallocated Sectors". \n what I use as the simplest health indicator. \n benchmark as an early indicator of trouble. \nnew HD. No XP install disk so will only be able to run Linux, etc. \njunk it. However, open to suggestions. \n new HD. No XP install disk so will only be able to run Linux, etc. \n junk it. However, open to suggestions. \nYou need enough RAM for Ubuntu. \nconfig file), or not enough RAM left to start Xorg. \nparse things properly, and can take a dump on you. \nprobably runs as well as it did in 1999-2000 or so. \nsome idea what hardware was in there, for CPU and RAM. \nMacrium boot CD you make.] Whether worth doing is up to you. \nMemory. Also, run Task Manager to see if anything is hogging the CPU. \nCheck RAM/Virtual Memory usage at the same time. \noriginally) for a friend for web browsing, email and word processing. \nhad died), and it worked fine. \nlightweight desktop like LXDE or XFCE, or just a window manager. \nco0ded into the install disc. 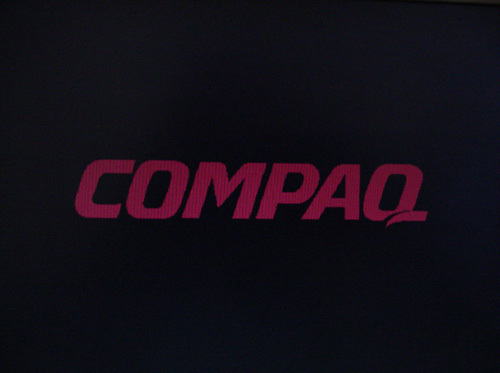 \nwill run on a Dell with a HP/Compaq code. \n	And tell us what it says. \n	Video will also impact performance. \nnot include the XP install disk. \n And tell us what it says. \n Video will also impact performance. \non there, that much RAM will handle one tab... maybe. \nidling at around 700MB or so). \nthese graphical animations of windows opening and closing. \nand I got it running again... two dead video cards later. \nturned off on modern Ubuntu (dunno why). \nPuppy should work fine. It doesn\'t need a lot of RAM. \nup when the OS "called for more steam". \nCPUZ cab show you more details. \nA lighter weight Ubuntu family to try, is here. Fits on a CD. \ndidn\'t work right. It works under Lubuntu 14.04.1. My "glxgears"
\nfor a "bar bet". It did work. \nto get an overview of system load and memory usage. \n echo 3 /proc/sys/vm/drop_caches === "flush my caches now, please"
\nused value, to less than 250MB. \nthat low (or maybe its just the partition size, and not a separate HD)? \n that low (or maybe its just the partition size, and not a separate HD)? \nC: and D: could be sharing a 160GB IDE drive (GiB versus GB etc). \nera, if you partitioned the entire 160GB drive as C: and it "spanned"
\nthere, if you asked it to). \nSo that\'s why there\'s a lonesome 17GB partition sitting there. \nthe (old) 28 bit limit. \r\n\r\nOn Sat, 6 Jan 2018 19:55:41 -0700, "Bill in Co"
\n	If he adds 512 MB it would describe my PC. \n	No, it\'s not slow. \n On Sat, 6 Jan 2018 19:55:41 -0700, "Bill in Co"
\n If he adds 512 MB it would describe my PC. \n No, it\'s not slow. \nIf the motherboard has AGP, you can add a video card. \nHowever, the market doesn\'t have a lot of AGP cards for sale. \nshot up a lot, so it\'s best to go looking locally for a surplus one. \nThe x1950 in the list, was available mainly as a PCI Express. \nis the "pink goo" around it :-) That\'s how you know it\'s a Rialto. \nlook at, like a muscle car you can\'t afford. \non Playtool would make it similar to the x1950 entry. include the XP install disk. Ubuntu Linux as dual-boot as I can't reinstall XP. not worth the expense and time for this very old computer. takes but I suspect that was VERY slow, indicating a hardware problem.